With the spring Group One season in Sydney and Melbourne over, champion trainer Chris Waller leads the tally of Group One winners. Chris Waller 's rebuilding phase has paid dividends during the spring with the Sydney trainer leading the way with Group One victories. After the final meeting of the Melbourne spring carnival at Flemington on Saturday, Waller heads Australia's Group One tally with eight winners for the season. Winx certainly played her part for Waller with four Group One wins, including last month's Cox Plate. But Waller is not resting on his laurels and says he is adjusting his focus with more sprinters coming into the stable while he is also paying more attention to early staying types. "I can see weaknesses in the stable," Waller said. "I've never had a runner in the (VRC) Oaks before, partly because it's so early, so is that something we need to look at. 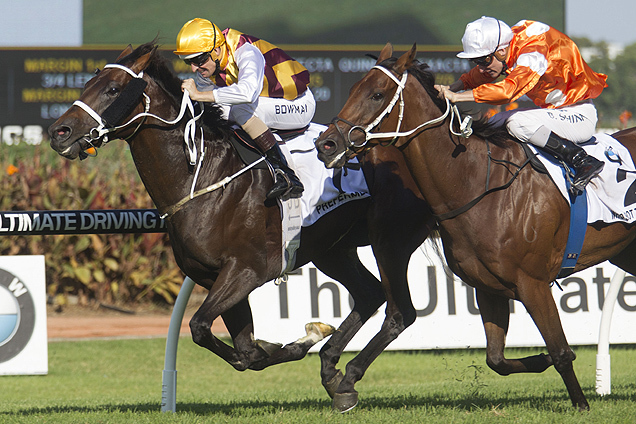 "It's a Group One race and while I've won the Derby with Preferment , we've only had a few runners in the race before." With sprinting attracting bigger pay days through the The Everest, Waller says he is assembling an arsenal of quality young horses. They include three-year-olds Zousain and Lean Mean Machine along with Caulfield Guineas winner The Autumn Sun . Waller did not have a runner in Saturday's VRC Sprint Classic, although he did consider Coolmore Stud placegetters Zousain and Lean Mean Machine for the Group One sprint. "I thought it was a really strong race this year," Waller said. "So I thought I'd keep our boys fresh and away from them and join up with them next year. "I'm starting to assemble some really good sprinters which is where I think is where we've been a little bit soft. "The money until The Everest came along had been a little softer unless you've got a good colt of course. "Our whole stable has been through a rebuilding stage over the last two years and we've come out of it now and we're still going towards having better horses. "Everyone has good runs and you've got to make sure your good runs are for longevity as well."